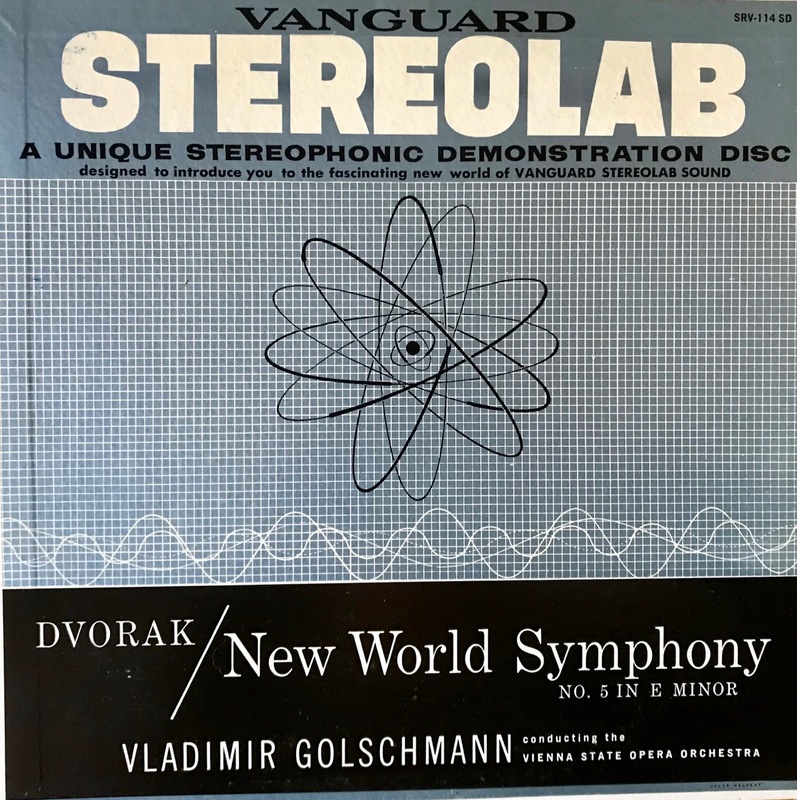 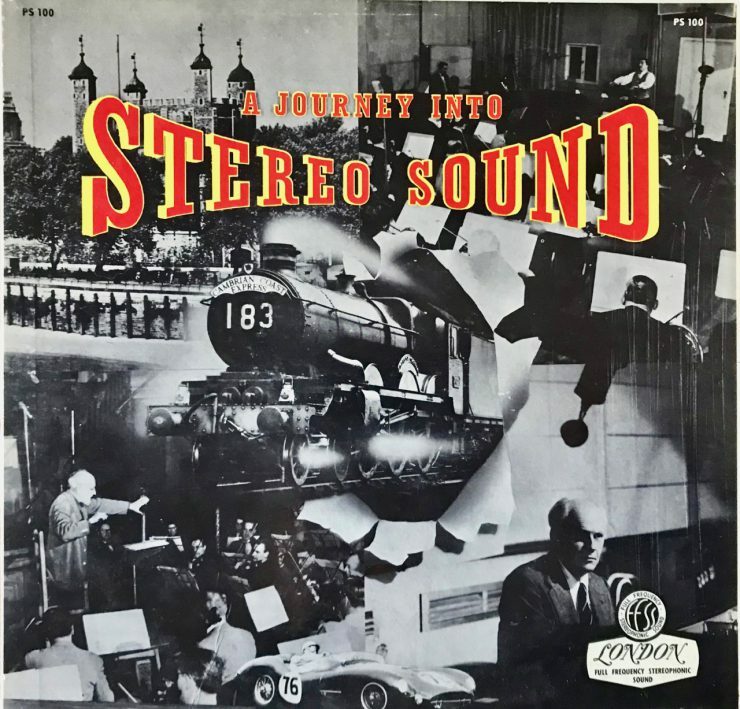 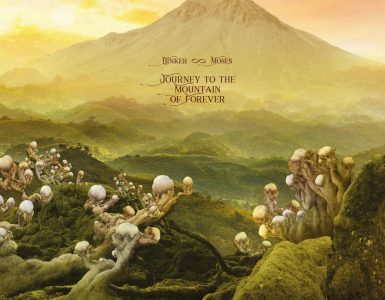 Imagine living in a world of mono sound—records, movies, radio—and then suddenly having the option to hear music with the three-dimensional depth and scale of stereo reproduction. 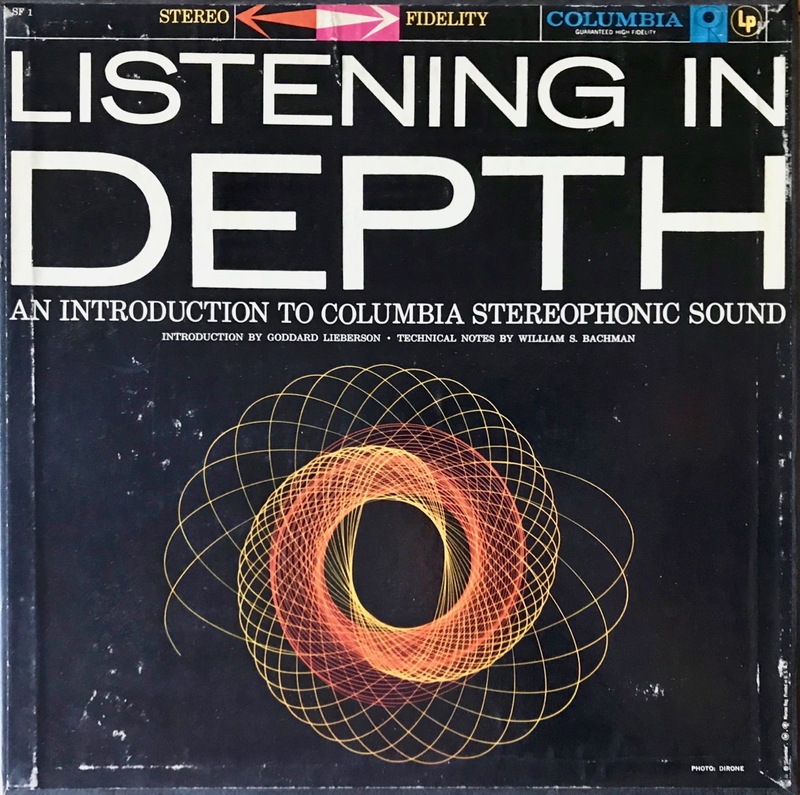 Add to that the sound-quality benefits of Columbia’s Long-Playing 33 1/3 rpm disc: quiet playback and 22 minutes per side of uninterrupted music. Experiencing both of those technological leaps for the first time must have been revelatory—a new world of “high fidelity” music that recreated a concert in your own home. 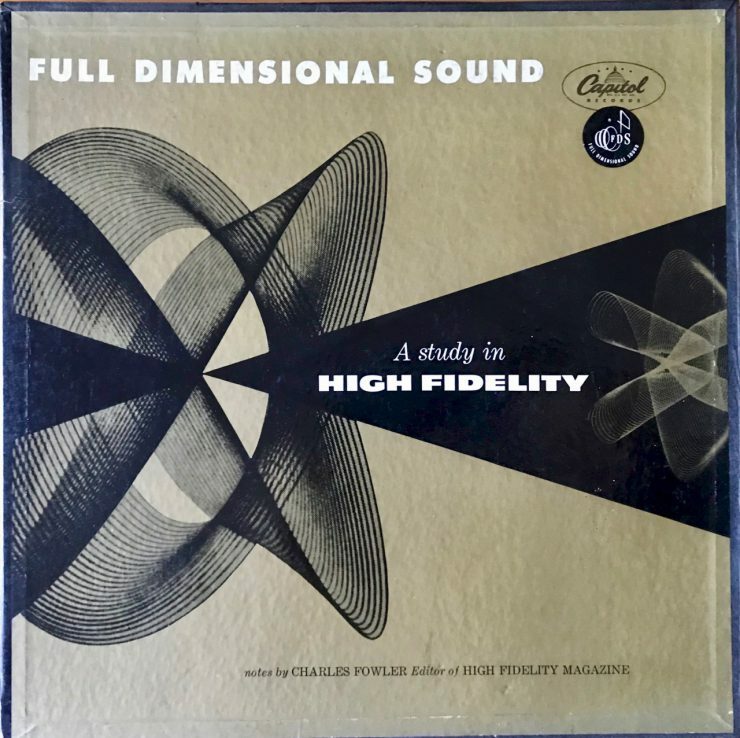 It was science fiction made real, just as magazines like Popular Mechanics had promised. 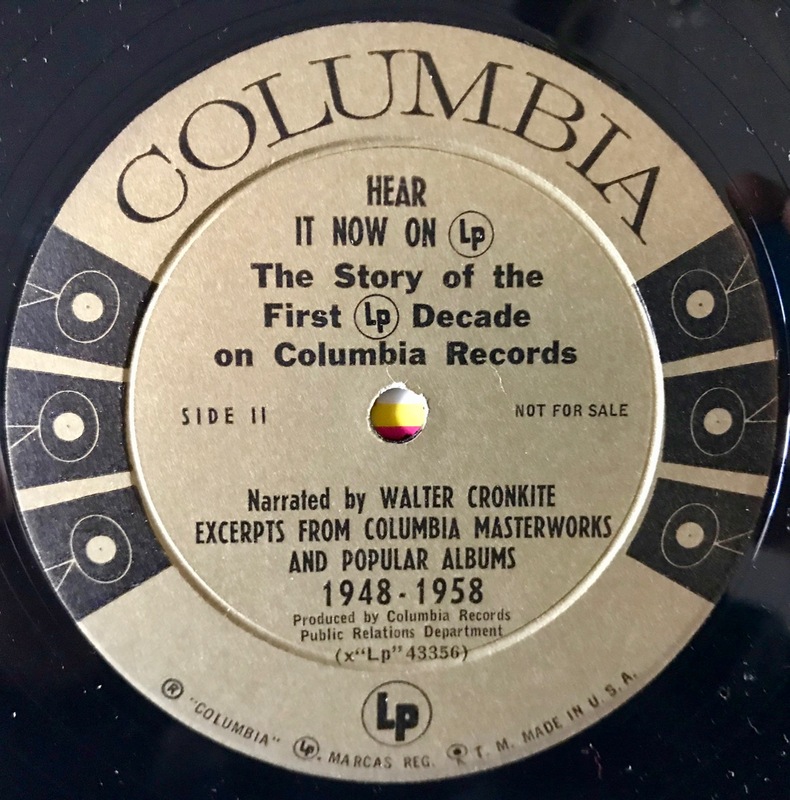 But record labels and electronics companies still had a big job ahead of them in the late 1950s/early 1960s: convincing consumers that these inventions were worth their money. In order to enjoy the benefits of stereo at home, music lovers would have to start all over and buy an entirely new sound system and new records. It was a major investment (and still a recurring cause for complaints to this day whenever a new format is introduced). 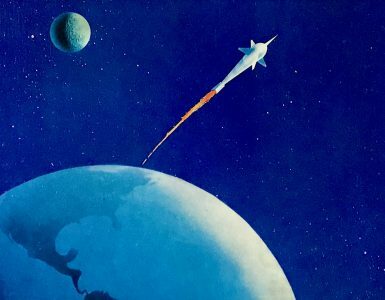 Cue the marketing guys. 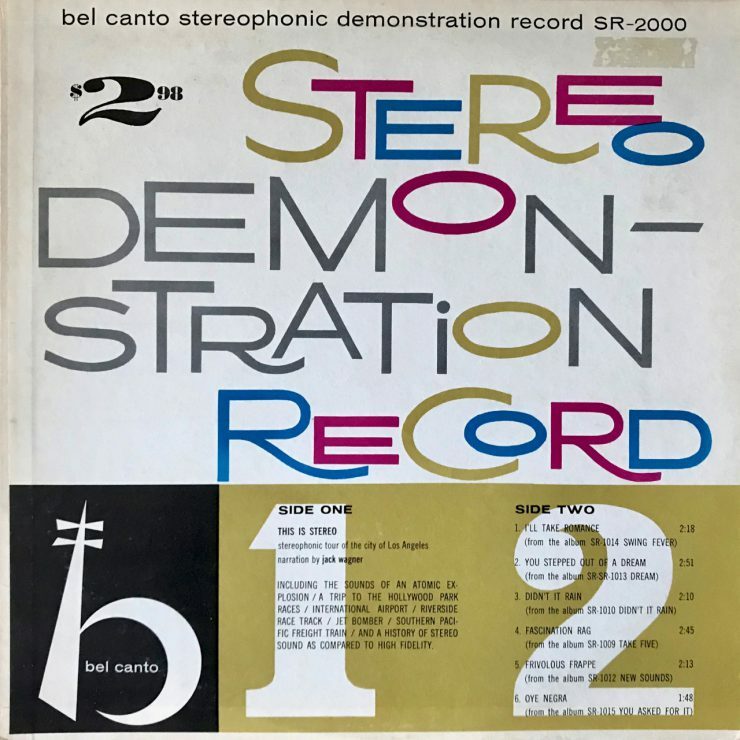 Each record label issued stereo demonstration discs that heralded the advent of this amazing new technology, which sales clerks would play in showrooms to prospective customers or give to buyers so they had something to show off their new rigs. 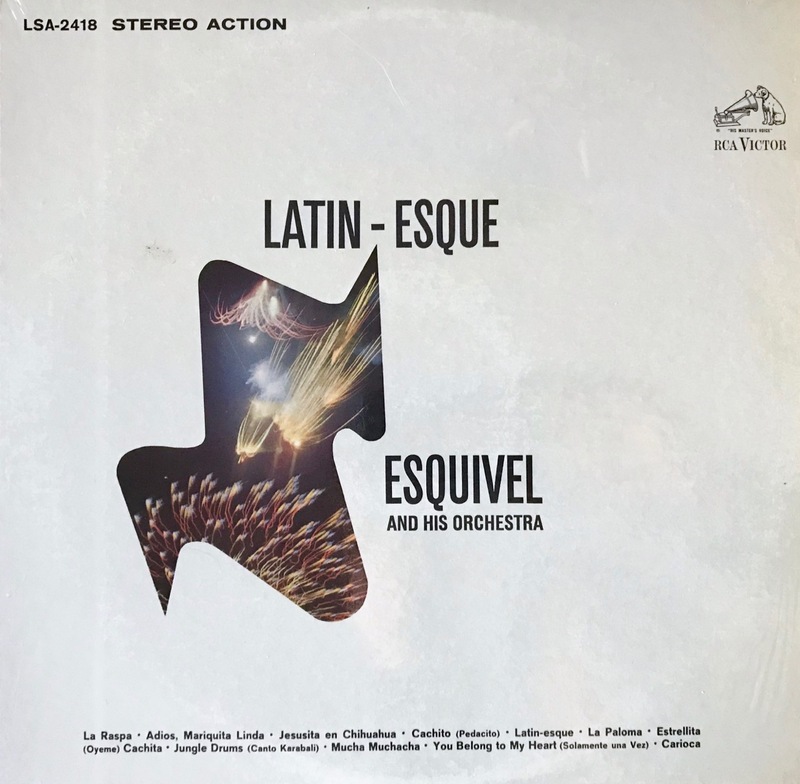 These LPs naturally had to look cool—and attempt to “show” what stereo was all about with thoroughly modern graphics. 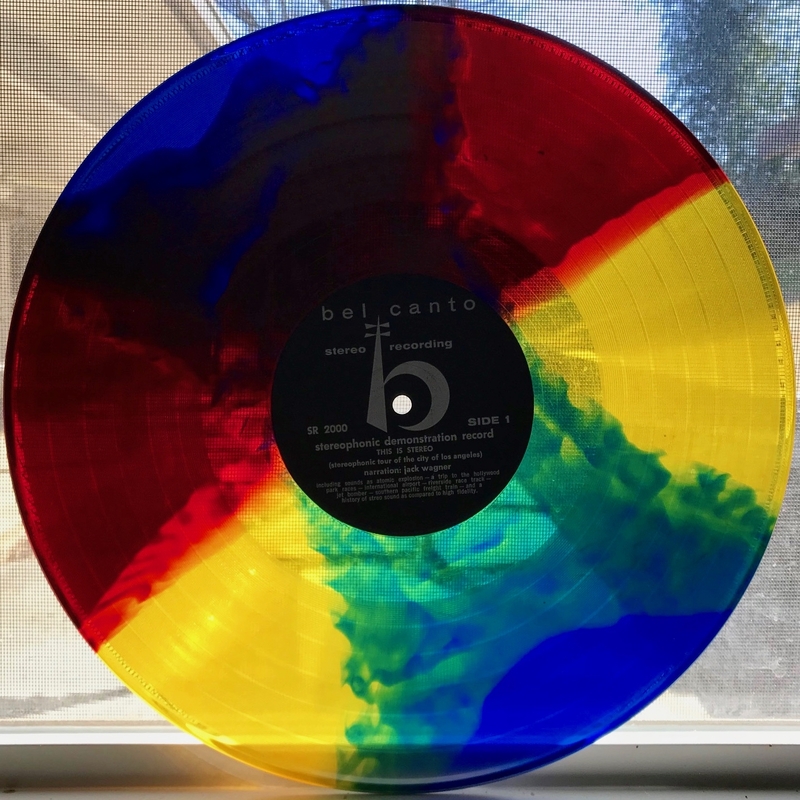 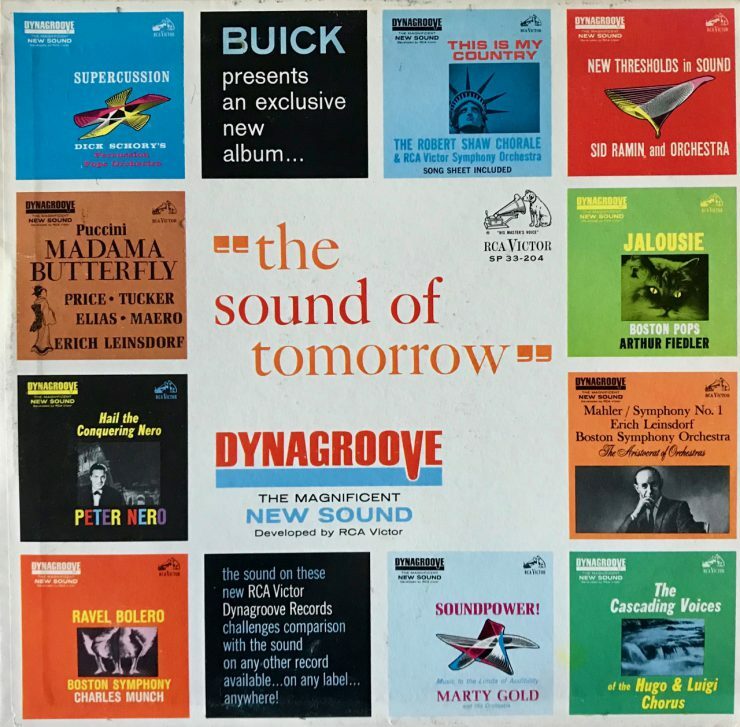 …multi-colored vinyl that was lit from underneath by special turntables supplied to dealers by Bel Canto. 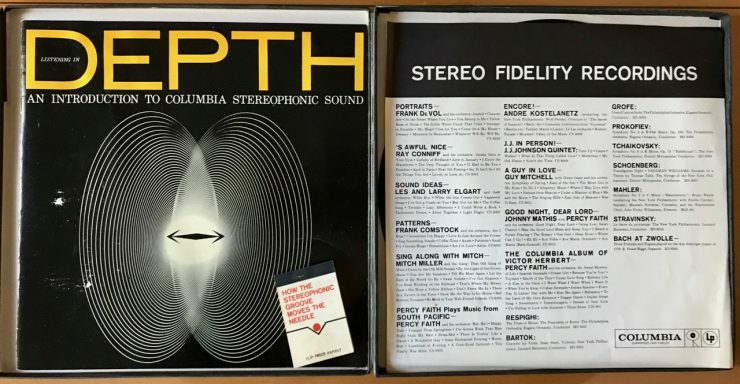 Columbia Records was not about to be outdone, issuing a demo box set with its own gimmick..
Capitol Records also issued its own box set. 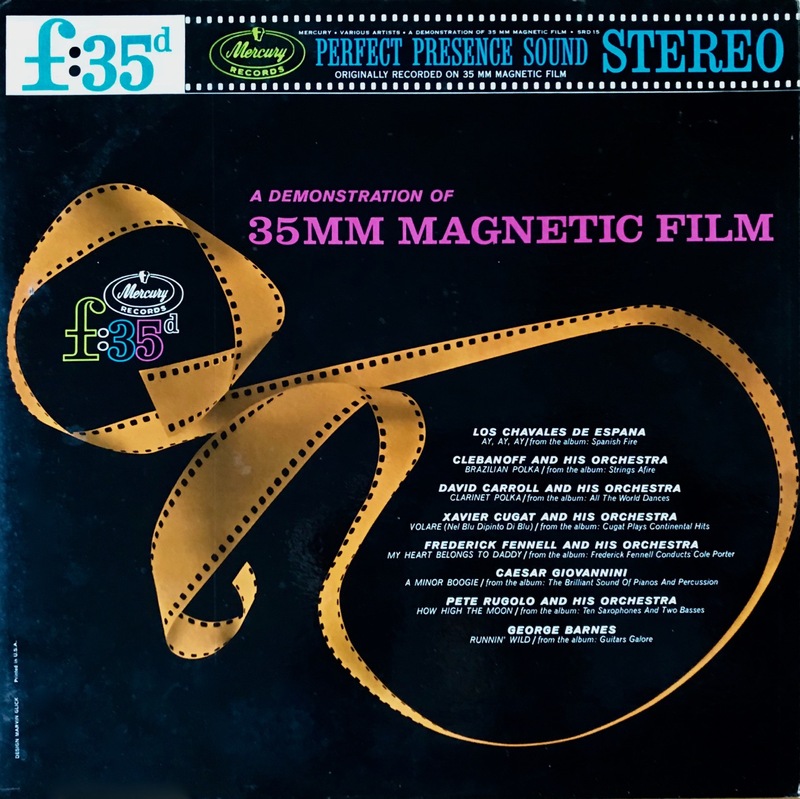 Each record label also developed proprietary recording processes that they would tout with demo discs, such as Mercury’s use of 35mm magnetic film to reproduce music with higher fidelity. 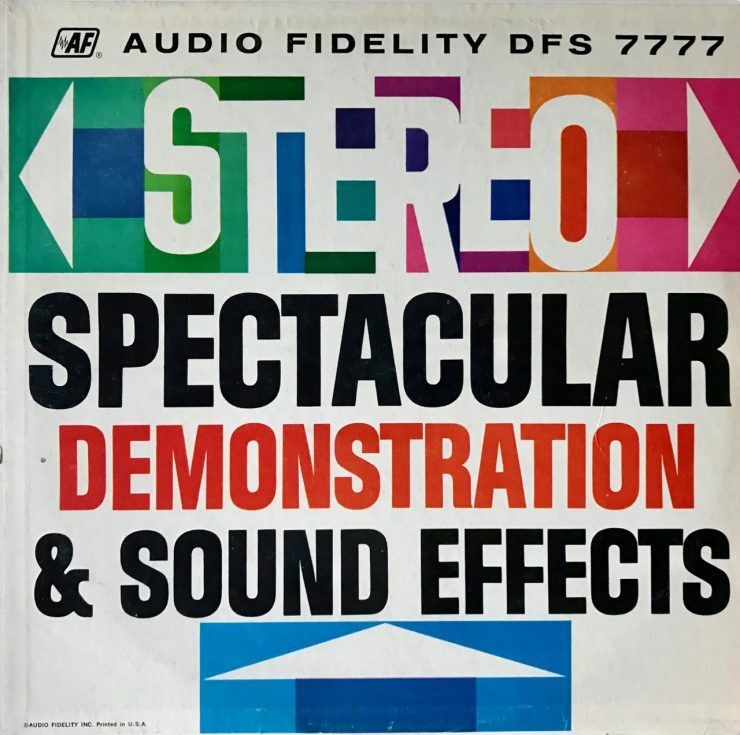 Many of these demo discs featured rather gimmicky sound effects, but they did make it clear that stereo was much different from mono. 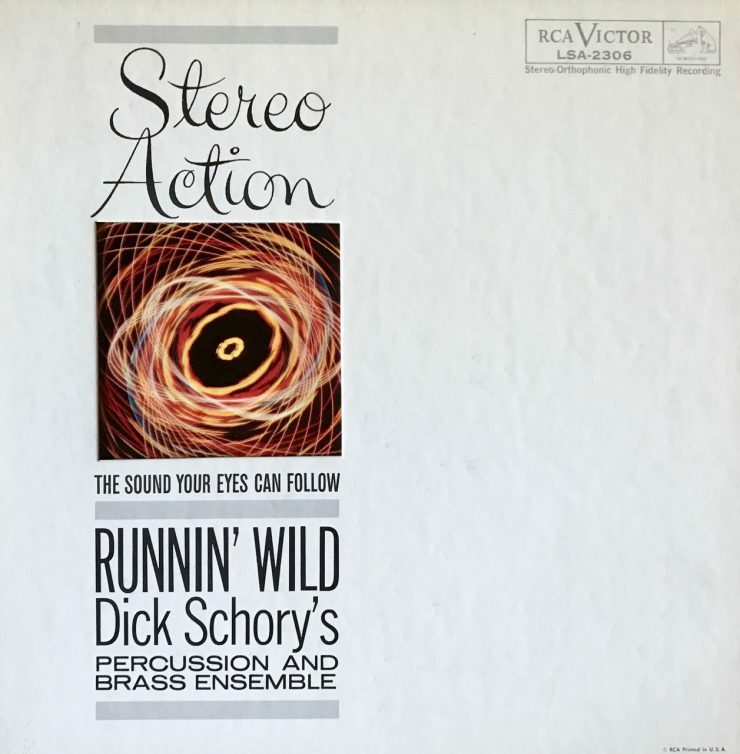 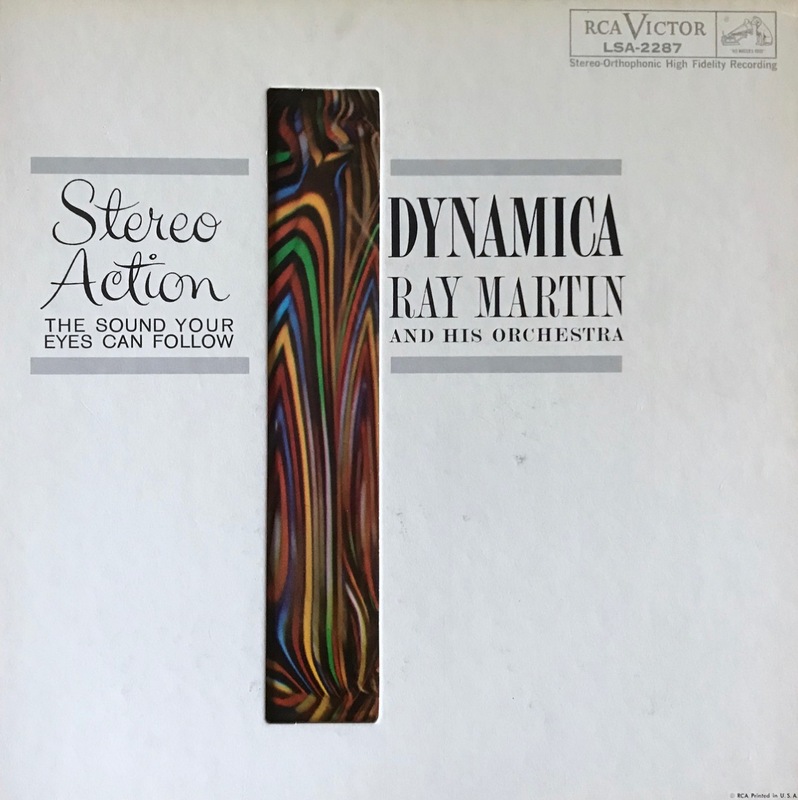 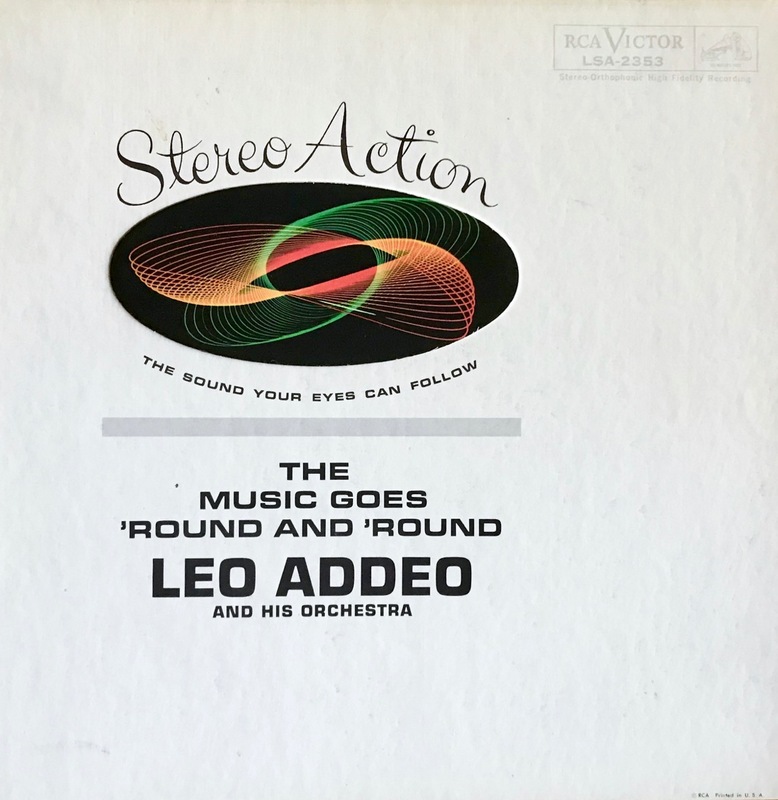 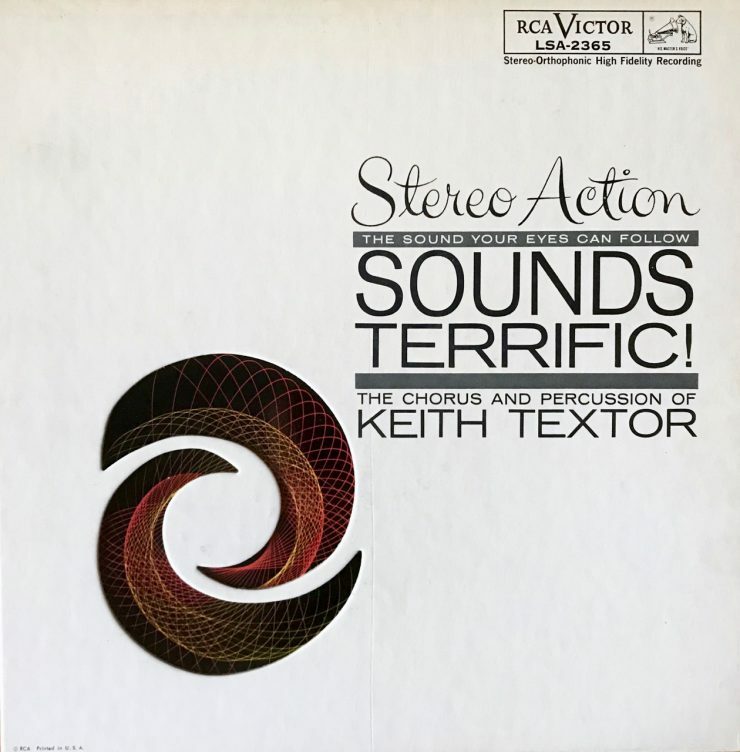 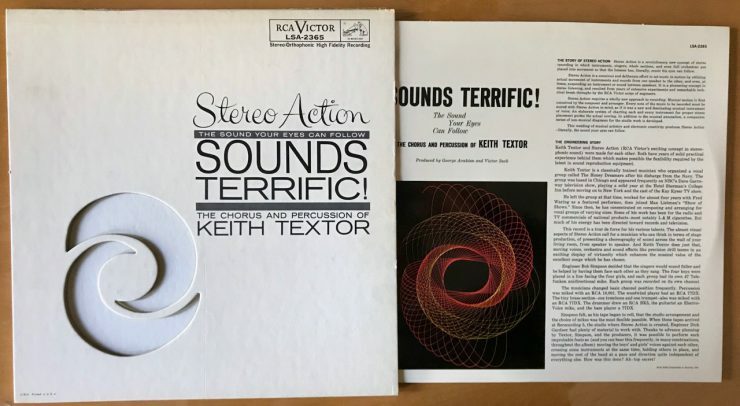 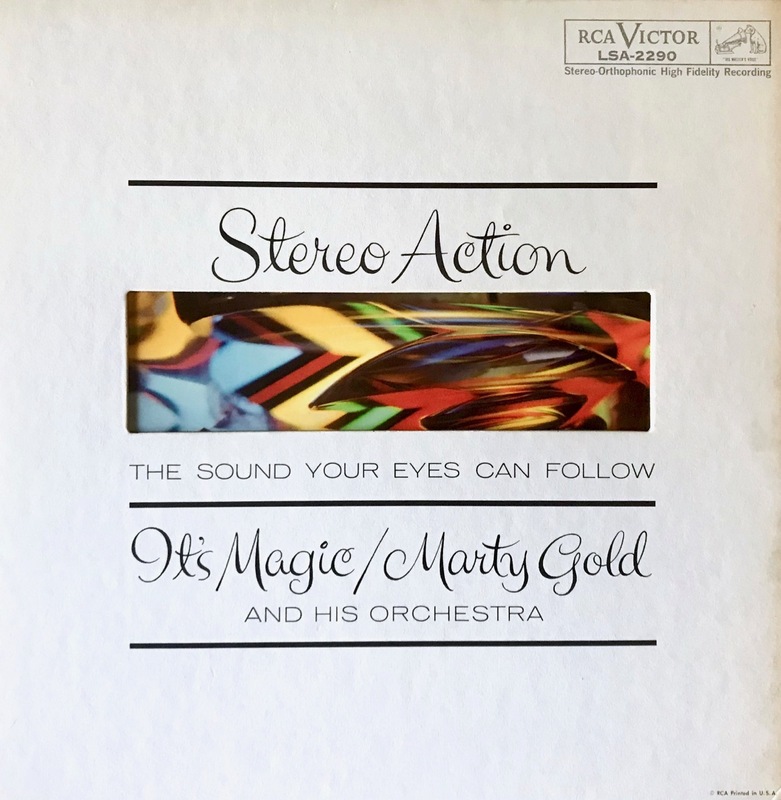 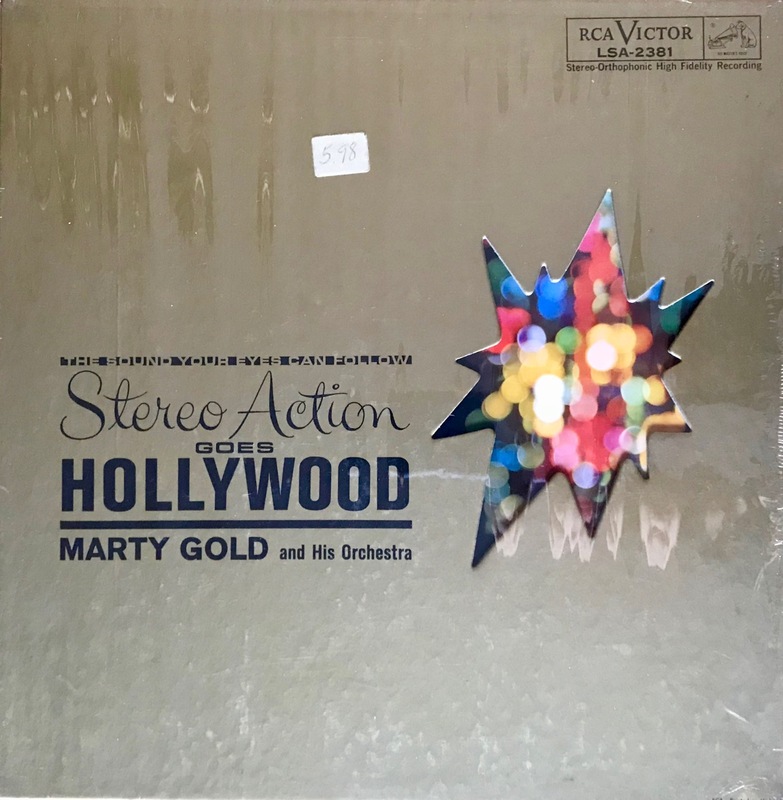 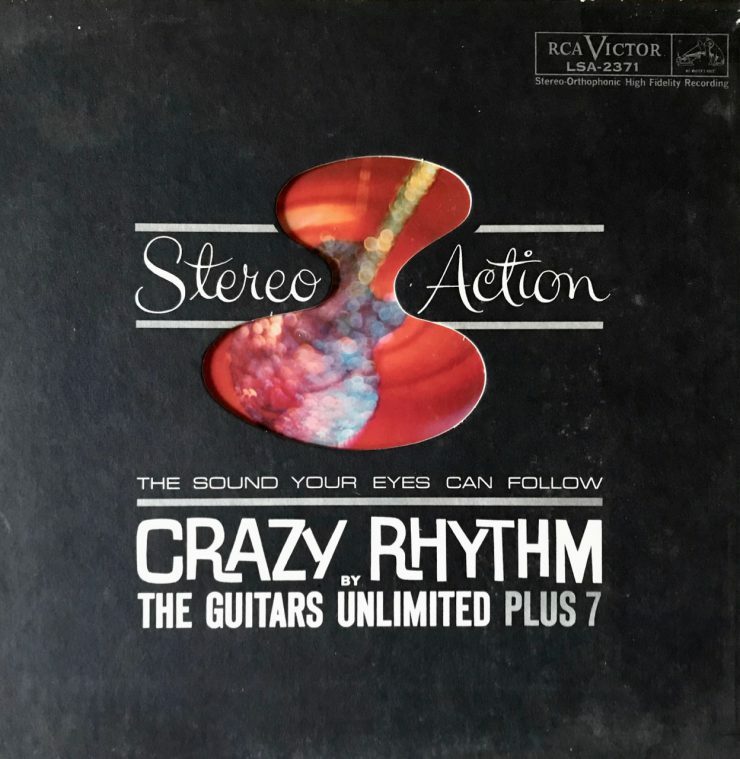 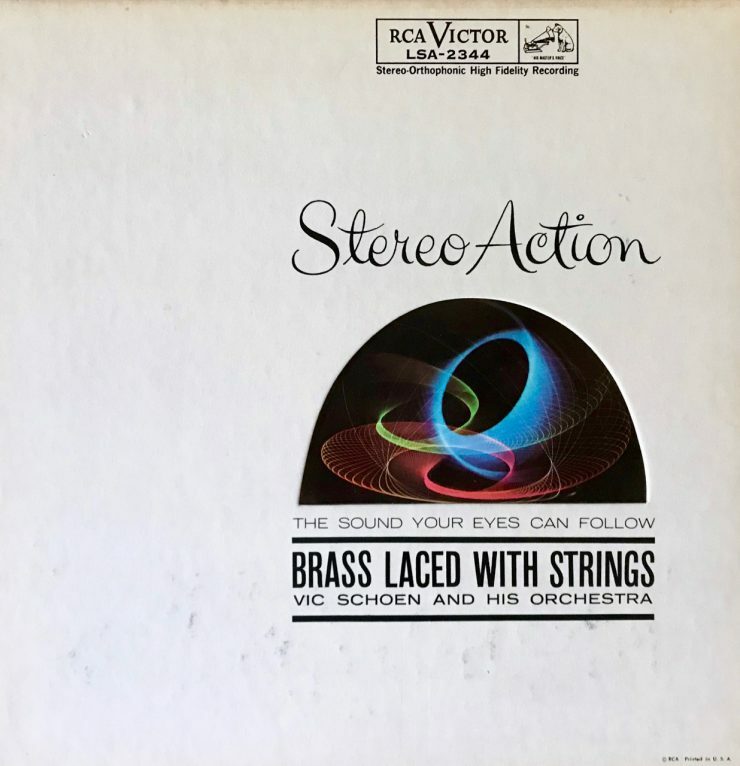 RCA Victor pulled out all the stops with a series of “Stereo Action” demo discs that featured specific musicians. 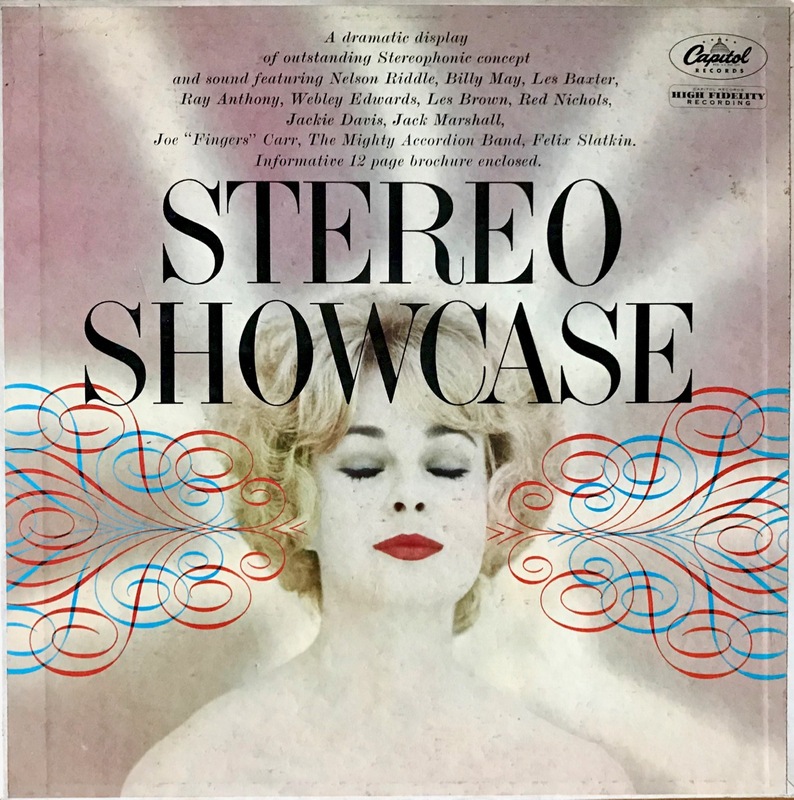 Each thick jacket featured a “modern” graphic revealed by a die-cut. 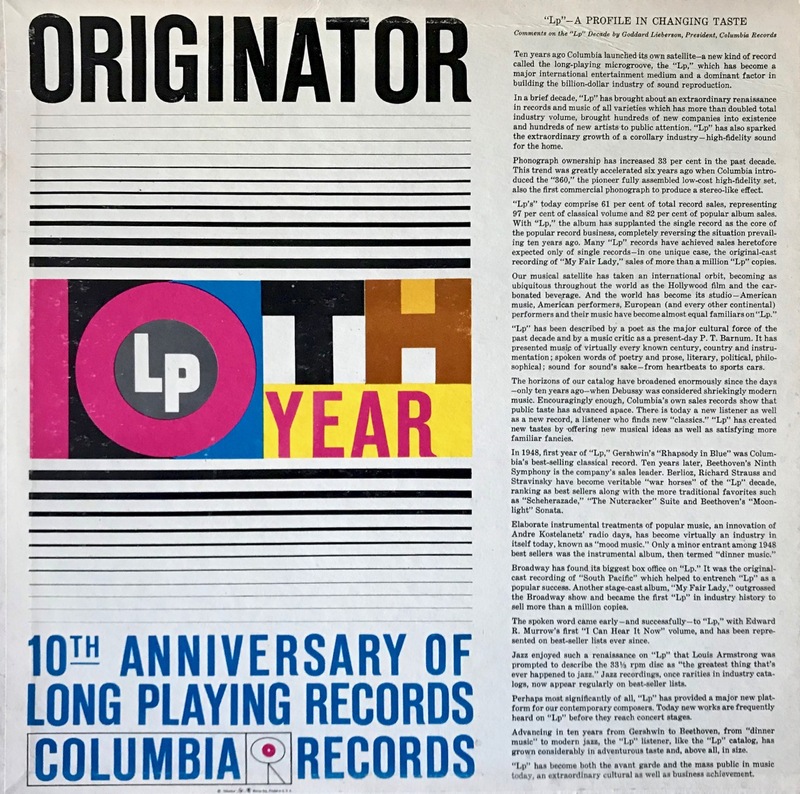 Columbia gave itself a pat on the back on the 10th anniversary of the LP. 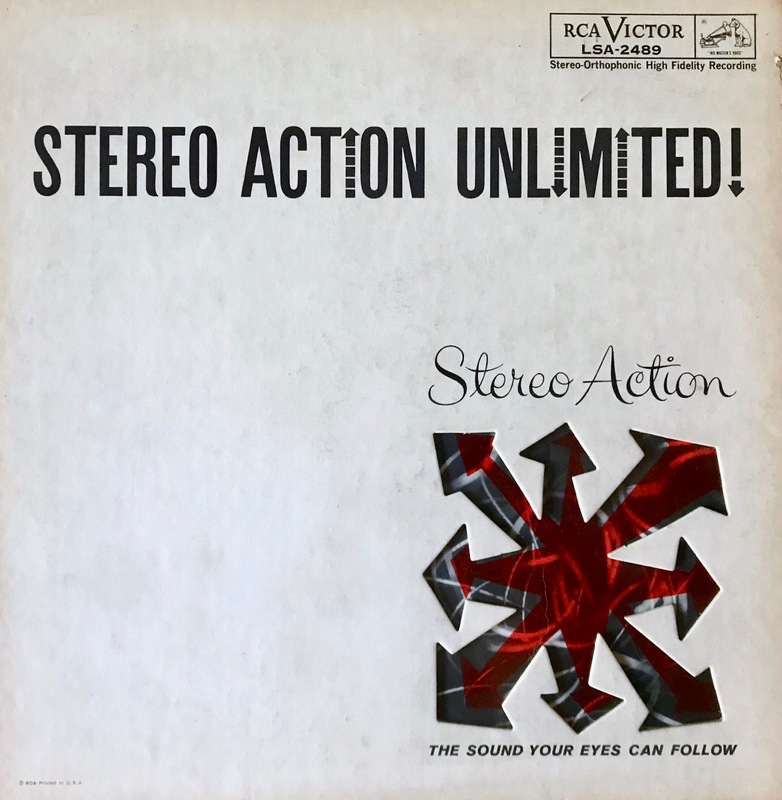 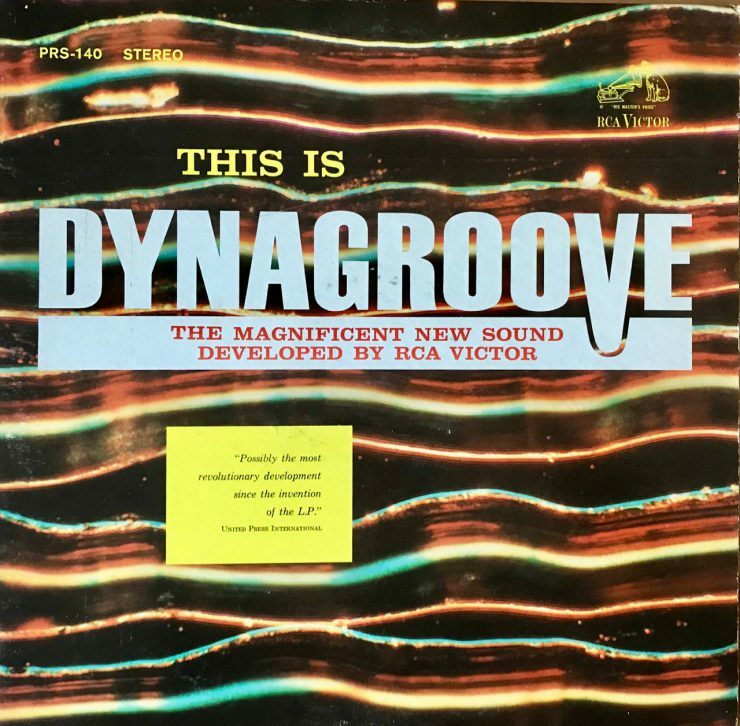 And then came RCA’s ill-fated descent into a new recording process called Dynagroove in 1963. 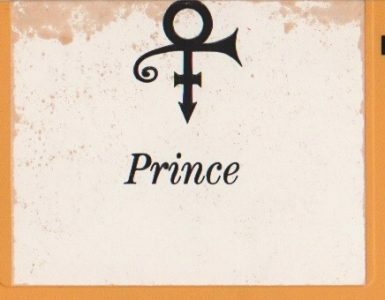 UPI got it wrong.